Today, I would like to share some of my experiences with .NET User Group Community. I have started Indore .NET User Group in Jan 2003. It was an collaborative effort by Ms. Shilpa Jha(my friend) & Me. Mr. Deepak Gulati (MVP Lead at Microsoft) has given me an eye opener session about the community and the power of sharing knowledge. 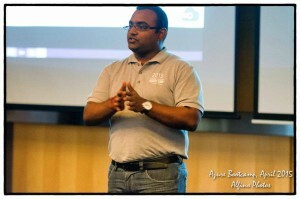 He encouraged us to go ahaed and start a User Group for Indore. This group was intended for discussing Microsoft Technologies. Due to the fact that I used to take seminars in Colleges almost every weekend, I could manage to get more user registrations to the group. MSDN yatra and other Microsoft events were happening that time but they were not listing the local user groups. Then, we gave this feedback through Deepak and they have implemented a common practice to include the local user group URL at the end of the presentation. In the very first year Shilpa and I got Microsoft Community Star Award. It had given us enough visibility in local community as well as within the Microsoft community leaders space. We had arranged several User Group meeting that year. and It went all well. For me the big time came in Jan 2004 when I got Microsoft Most Valuable Professional Award for the first time. It was a great day and for me it was a wonderful surprise. I never thought that people will nominate me for MVP award and I will get it. But it happened and I got the MVP award. It was very hard for me to maintain my work balance with the community activities. After becoming MVP, expectation bar was very high and I was trying to manage things as much as possible. Things have changed as Deepak took a new role and Abhshek Kant became out MVP Lead. I attended DevDays in Mumbai and I was handling the user group stall with Abhishek. I got MVP second time in Jan 2005. I was a nice time again. Year 2005 was a year of change for me. I left Indore and came to Bangalore, where I was working with BDotNet as a member. Within 2 months, I flew to Switzerland and I joined the Switzerland .NET User Group there. During all these days, I found that nothing exicites more to me than being a contributor to community. Now, I am with Microsoft. After joining here I lost my MVP title but I am still active as the group manager for Indore .NET User Group and I’ll be always active in the community. I congratulate the group members for joining a great community. I would like to thank Abhi and Deepak for supporting me all the way and also for the great work that they are doing for the community.